The Supreme Court on 4 November dismissed the plea filed by former Land Acquisition Officer of Uttarakhand Dinesh Pratap Singh, seeking quashing of the FIR registered against him for his alleged involvement in the Rs 300 crores scam. 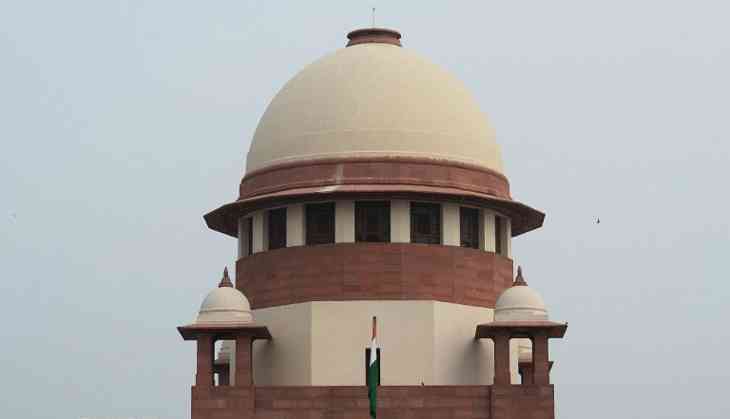 A division bench of the apex court headed by Justice Kurian Joseph and comprising Justice R. Banumathi refused to grant any relief to Singh and quashed the FIR registered against him. Singh had allegedly given compensation to farmers by showing the agricultural land to a non-agricultural one. He gave eight to 10 times of the compensation amount to farmers, the Uttarakhand Additional Advocate General (AAG), Mukesh Kumar Giri, told ANI. Singh approached the top court after a petition filed against him in the Uttarakhand High Court was rejected. He, however, claimed himself innocent and said that he is not involved in any kind of offence as alleged. "He is innocent in the case and he had not done anything wrong. This is a false FIR registered against me," Singh's lawyer Abhishek Amritanshu told ANI. The Uttarakhand High Court order, accessed by ANI exclusively, stated that the grounds mentioned in the petition by the accused were not sufficient to quash the FIR and it was devoid of merits. Giri further told ANI that the FIR was registered due to the fact that the use of the acquired land had been changed from agricultural to non-agricultural one under section 143 of the Uttar Pradesh Zamindari Abolition and Land reforms Act and thereby making the land owners get eight-ten times of what they were entitled for. The Special Investigation Team (SIT) is probing the case against Singh, Giri said, adding that such kind of corrupt practices should be dealt strictly and the accused should be brought to justice. The SIT findings on one of the tehsils revealed that farmers were illegally paid Rs 151 crores, when he was entitled for only Rs 11 crores. The FIR was registered against Singh under various sections of the Indian Penal Code (IPC) including, 120-B (Criminal Conspiracy), 420 (Cheating) and 471 (Using any kind of forged document as genuine) and 34 (Common Intention to commit a crime).